Big boxes for electronics, like TV, and small boxes for keeping books and toys – but boxes are just boxes, right? They serve the purpose of a container to store items, so there shouldn’t be much of difference. In reality, there are a variety of boxes available today that are designed for specific purposes. Whether you are moving homes, shipping items to a far-off location, or want a small container to store your personal stuff, you should choose the right kind of box to ensure the items remain safe and undamaged. As the name suggests, moving boxes are used by homeowners when they are packing their belongings to shift to a new home. These boxes are thinner as compared to shipping boxes and hence cheaper, making them a great option for moving purposes. Moving boxes are made thinner because they are generally not moved often and are stacked, which prevent the contents from getting damaged. 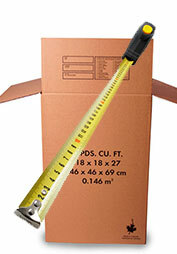 If you are looking for moving heavy items, there are sturdy moving boxes available in the market as well. Packaging boxes are mostly used by businesses for packing their products. These boxes are available in a variety of sizes, and often are custom-made according to the specification of product’s size and weight. Shipping boxes are designed to withstand the jerking and shaking during long distance transits, and hence are thicker as compared to moving boxes. 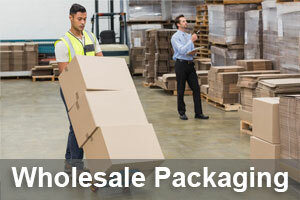 They are a preferred choice when items are to be sent to a foreign or far-off location. Since a lot of movement of boxes is involved during the journey, they are made of sturdier materials to keep fragile items safe and damage-free during transit. Storage boxes are designed to pack more weight inside them and withstand the test of time. These boxes have a large load capacity than a cardboard or moving box, and can be stacked on top of one another, securely and safely. If you are planning to put away some of your stuff in the attic or garage, storage boxes are the right choice for you. Cardboard is a material made from heavy paper-pulp. The cardboard material is used for a wide range of applications, ranging from greeting cards to cereal boxes. Since they are light and less sturdy than corrugated boxes, they are used for storing lightweight materials and are generally small in dimension. Packing boxes are sometimes made of cardboard material and are used for storing small, fragile items. They are widely used for packing gifts, like toys, photo frames, etc. If you are moving, make sure you secure these boxes properly to keep their contents from getting damaged. Corrugated cartons comprise of three layers: an outside liner, an inside liner, and fluting with ruffled shape, which is the middle layer. These cartons provide several benefits, such as cost-effectiveness, durability, product protection, high strength-to-weight ratio, and lightweight. These cartons are sometimes considered a good option for shipping purposes. Corrugated boxes are made of layered sheets of container board that are sturdy and durable, just like a thick paperboard. They are commonly used in packaging industry and are great for shipping purposes because printing on them is easy. Corrugated boxes can be recycled or transformed into product display boxes by adding text, designs, and colors to enhance their look.